DHA accounts for 40% of the polyunsaturated fat in the brain and 60% in the retina. Research shows that vegans and vegetarians have a substantially lower proportion of DHA. 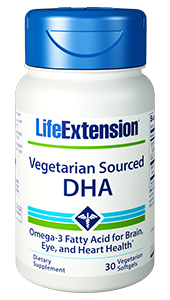 Life Extension Vegetarian Sourced DHA meets vegan and vegetarian diet standards. May protect brain tissue from inflammatory damage due to physical trauma to the head. Aids in healing after injury to brain tissue. May support normal mood and behavior in both adults and children. Studies indicate better memory and learning performance. 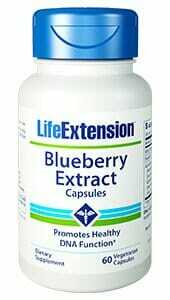 May benefit those with Alzheimer’s or other age-related cognitive impairment. When NASA scientists began their search for the perfect space food for astronauts, they turned their attention to marine algae. What they discovered was that algae was a rich source of the fatty acid DHA (docosahexaenoic acid). The result of their investigation produced a nutrient dense food that could be used not only for astronauts but for those here on earth. Fish do not make DHA. Predatory ocean fish, our best animal source of omega-3 fatty acids, consume smaller fish and crustaceans. Those animals, in turn, feed on algae. And algae use specialized enzymes, powered by solar energy, to produce the DHA (and EPA) that we need in order to remain healthy. As a result, all of the DHA we consume originates with tiny one-celled algal organisms. 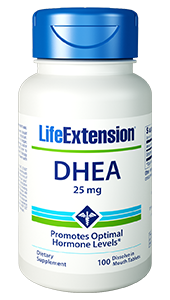 DHA is a proven brain protective nutrient that provides multiple cardiovascular benefits. Recent studies show that DHA is especially beneficial in improving the memory loss that accompanies aging. But those who prefer not to eat fish are at risk for developing low DHA levels and losing that neuroprotection. A new technique for extracting DHA directly from algae makes it more widely available for supplementation. Algal-derived DHA oil is equivalent to that derived from fish oil in terms of its bioavailability and impact on the human body. Now, everyone, regardless of dietary preference or habits, can enjoy the myriad neuroprotective, memory-defending benefits of DHA supplementation. DHA is an omega-3 fatty acid, naturally found in the body, which plays a key role in infant development and adult health. Most abundant in the brain, eyes, and heart, it is integral in learning ability, mental development, visual acuity, and in the prevention and management of cardiovascular disease. Advances in aquaculture now make large-scale DHA production possible from algal cells grown in culture. First, specialized batch fermenters grow algae under ideal conditions. After harvesting, dryers remove moisture from the biomass, leaving the oil-rich residue. Next, extraction equipment separates the valuable oil from other organic material. At the end of the process, only the highly refined oil remains, rich in DHA and entirely free of animal products. This oil meets the strict standards of true vegetarians and even vegans. Can algae-derived DHA replace fish oil as a health-promoting dietary component? Emphatically yes, according to recent human studies. Other Ingredients: modified corn starch, glycerin, high oleic sunflower oil, purified water, carrageenan, sorbitol, ascorbyl palmitate, tocopherols, natural flavor, sunflower lecithin, beta-carotene, caramel color. life’sDHA is a registered trademark of DSM. 2. What Is the Link between Docosahexaenoic Acid, Cognitive Impairment, and Alzheimer’s Disease in the Elderly?.